Aftershokz came out with a new great design to their bone conduction technology, open ear headphones, and I love them. When I first had the opportunity to try out the Trekz Titanium headphones I was blown away. They were my first experience with the open ear concept headphones. Aftershokz has expanded on the Titaniums and created the Trekz Air “correcting” some of the minor issues of the first generation headphones. My biggest issue with headphones is how they completely block out your surroundings. I love having my music to motivate me during trail runs, work outs, work and just general life activities. However, I hate being completely unaware of what is happening in my surroundings. I want to still be a part of my environment, knowing what is happening around me so I am not surprised or startled by something that I should have been aware of. When I am at the gym, I want to know if there is someone trying to get by me, or needing something. When running I want to be aware of people, bicycles or even vehicles approaching me. When at work I need to be aware if my phone rings, or a coworker needs something. Trekz Air has allowed me the freedom to have my music in most situations, while still being a part of what is happening around me. 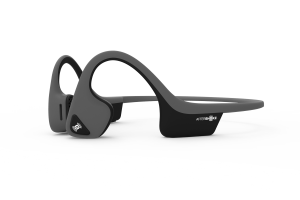 They provide a good quality sound that is delivered through bone conduction technology, and still allow you to hear what is going on around you. I have gotten rid of almost all of my other headphone, there is only a few situations where I prefer to have regular earbuds over the Trekz Air. As I stated, the Trekz Air corrected a few issues that in my opinion existing with the Trekz Titanium headphones. First of all they slimmed the headphones down getting rid of a lot of the bulk. The Titaniums were fairly small to begin with, but they had a thicker band that went around the back of the head, and more bulk that set behind the ears containing the electronics and battery. The Air were able to reduce the size of both of these items, helping the headphones to sit more comfortably on the head and over the ears. This overall comfort translates into being able to wear the headphones for a longer period of time. The one drawback that I still believe exist with the Trekz Air is that after wearing them for an extended period of time, the pressure that they put on the head does start to get a bit annoying. I do not think there is a way to get rid of this pressure as I have said in my review of the Trekz Titanium headphones. It is one of those things that I think to a certain extent you have to live with if you want to have an open ear, bone conduction headphone. I do believe that the Trekz Air put a little less pressure on the side of the head when compared to the Trekz Titanium. This does allow me to wear them longer, but they are not a headphone I want to be wearing all day at work for multiple days. The titanium band that goes around the back of the head provides a durable, and flexible form to the overall headphones, and still gives the proper pressure to keep the headphones in place while jogging to keep your sound quality high. The Bluetooth technology keeps you wire free, keeping hands from tangling in cords, and giving you the freedom to walk away from your phone or music device, but still be able to talk or listen as desired. I have found I have been able to wander between 30-40 feet from my phone, plus have numerous walls between my device and me and still have clear quality listening. In smaller gyms I have been able to leave my phone in my gym bag while working out, keeping my hands and pockets free, and my phone protected while concentrating on lifting instead of trying to be careful to not crush my phone. On the occasion that I want to be able to block out the outside world, typically when doing yard work, or running power tools, I can simply use foam ear plugs such as the ones provided with the headphones. This amplifies the volume of the music drastically, cuts down greatly on outside noise without having to turn the volume up and damage your hearing. With traditional earbud headphones in the past I have simply turned the volume way up so that the sound of my music would drown out the sound of the motor. Using the Trekz Air with the ear plugs I find myself turning the volume down from my normal listening volume or leaving it exactly where it is. I hear the music more clearly that with earbuds, and know that I am not doing additional damage to my hearing. 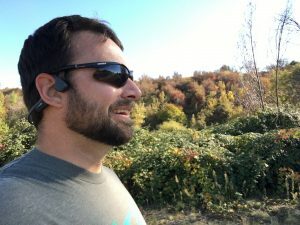 The Trekz Air by Aftershokz are my go to headphones for almost all situations where I want to listen to music. I love being able to have music by which to work while still being aware of what is going on around me. I even find myself grabbing my Trekz Air just to talk on the phone when I am trying to multitask and need to have both my hands available for what ever the task at hand may be. 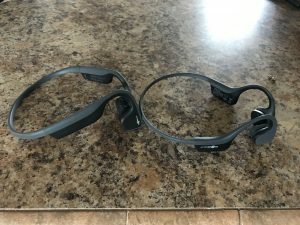 Aftershokz has created a great product that I highly recommend for the person who wants to be able to listen to music, or use there phone in an active setting. I give the headphones a 4.5 stars. 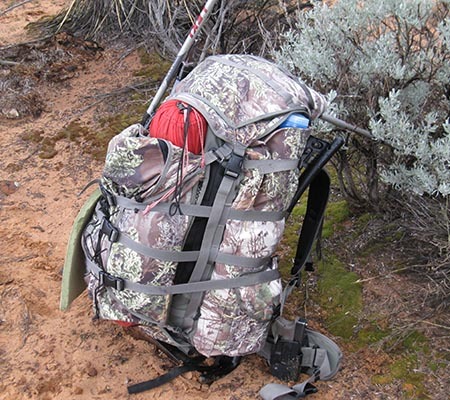 The only reason that I have not given them 5 stars is the annoyance from the pressure on the side of the head when used for a prolonged period of time. If this can get rectified even more, while still providing enough pressure to keep the headphones in place I don’t know that they could be improved on more.